American Airlines Arena, completed in 1999, is the home of Miami’s NBA Franchise, the Miami Heat, as well as the city’s top venue for music concerts, comedy shows, and other entertainment events. It is sometimes also referred to as “the triple-A” or “A-cubed.” The arena is located at 601 Biscayne Boulevard in downtown Miami, right next to scenic Biscayne Bay and not far from Interstate 95. As such, it is conveniently accessible to visitors from many different Miami hotels. Other nearby landmarks include Bicentennial Park, Bayfront Park, Bayside Marketplace, and the Freedom Tower. It is also only about eight miles away from Miami International Airport. The arena is capable of holding a maximum of over 19,000 people. There are fourteen general concession areas and twenty-eight portable concession carts located within the arena. Among the dining opportunities are Papa John’s Pizza, Nathan’s Famous Hot Dogs, and Mexi-go. Patrons may also relax in the arena’s bars, which offer an attractive view of Biscayne Bay. Special merchandise may be purchased in four different concessions areas, as well. BankUnited ATMs are available in several locations inside and directly outside of the arena. Another major feature of the Arena is Florida’s largest theater, the Waterfront Theater, a 1,000-5,800 seat venue located in the arena, which is furnished with chandeliers, carpeted aisles, and a proscenium stage. The theater has been used for private theatrical performance, dinner theater, and other proceedings which might take advantage of such a space. In addition to its best-known function as the home of the Miami Heat, the American Airlines Arena has hosted a number of major events in its history, and it often attracts some of the world’s most popular talents. The 2004 and 2005 MTV Video Music Awards were held here, as were many World Wrestling Entertainment Events, a four-day long Phish concert, and American Idol auditions. 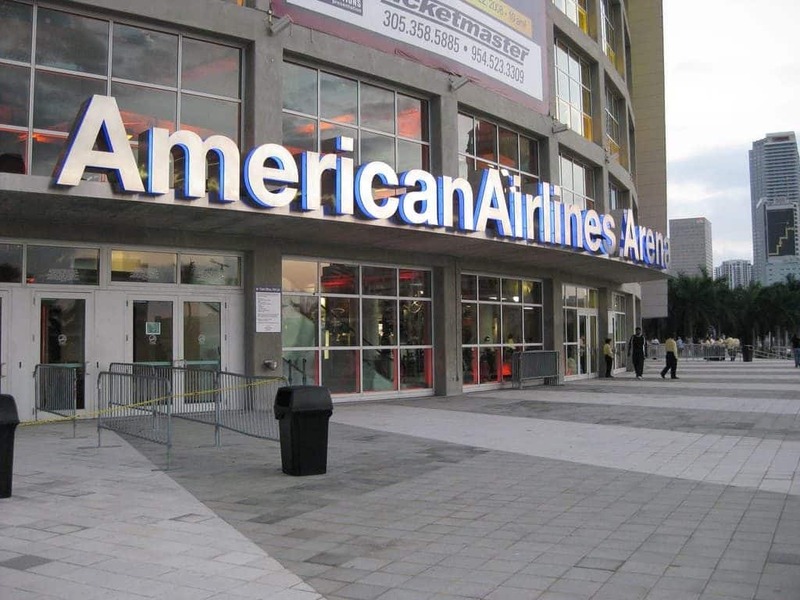 The American Airlines Arena has been awarded LEED certification, which is given only to buildings that meet the highest standards in energy efficiency and other environmentally friendly categories. The arena’s website, located at www.aaarena.com, includes more information on the arena, photos, a calendar of upcoming events, booking information, and directions. See a complete listing of upcoming events at the American Airlines Arena.